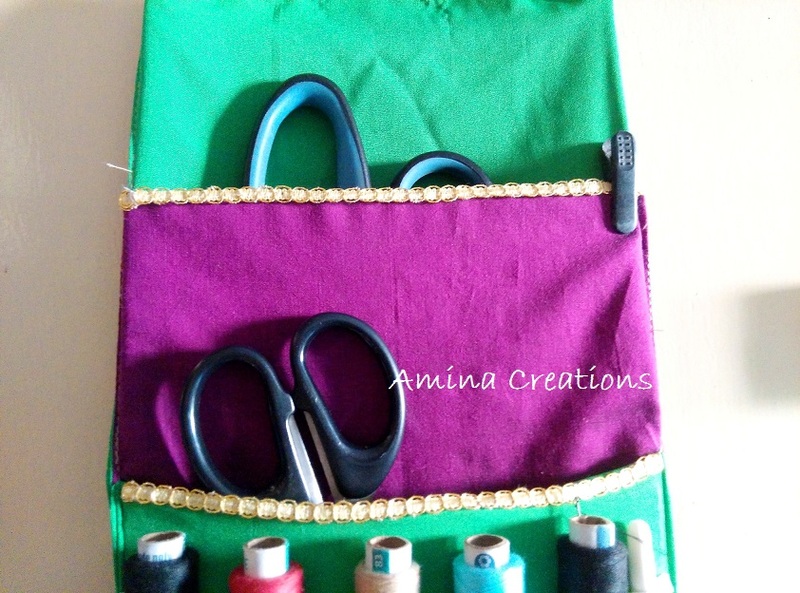 I made this sewing organizer a few days back to keep all my sewing essentials. 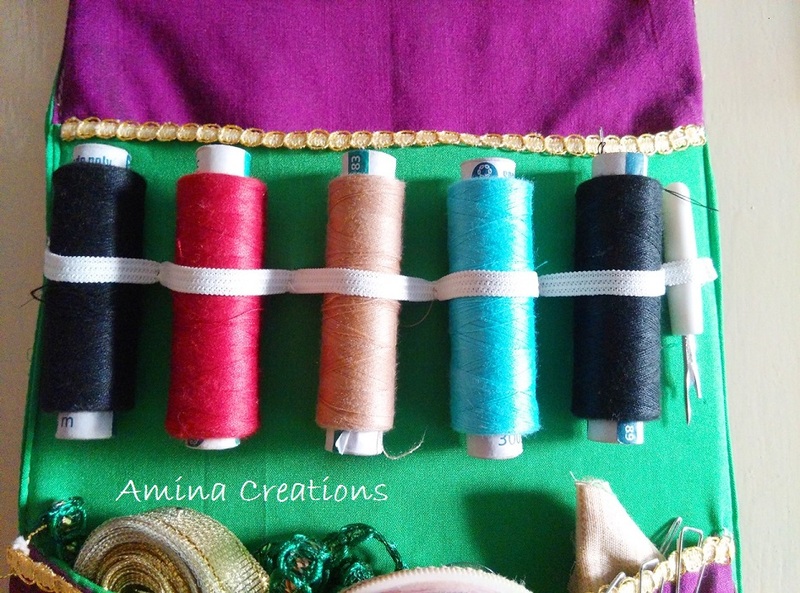 Here I have made several sections to accommodate various things like scissors, threads, thread remover, needle box, laces, etc. 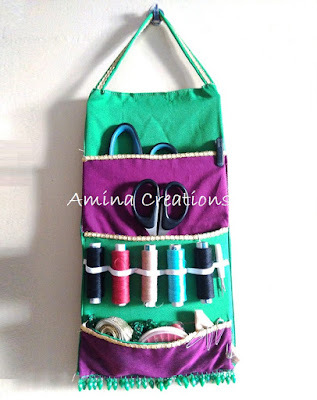 First I stitched the entire sewing organizer using fabric of two colours. In the front, I stitched sections according to my requirement and also stitched another piece using the same fabric at the back so that it formed a pocket. Then i stitched lace along the ends to make the sections more prominent. 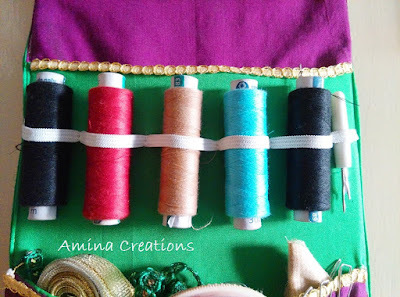 After finishing stitching, I inserted a cardboard of the same size inside the pocket to make it stiff and strong and then folded the extra fabric on top and stitched over it, so that the cardboard is not visible and is held in place. Then I stitched a loop on top so that it can be hung from a hanger. I have used elastic band to hold the threads. 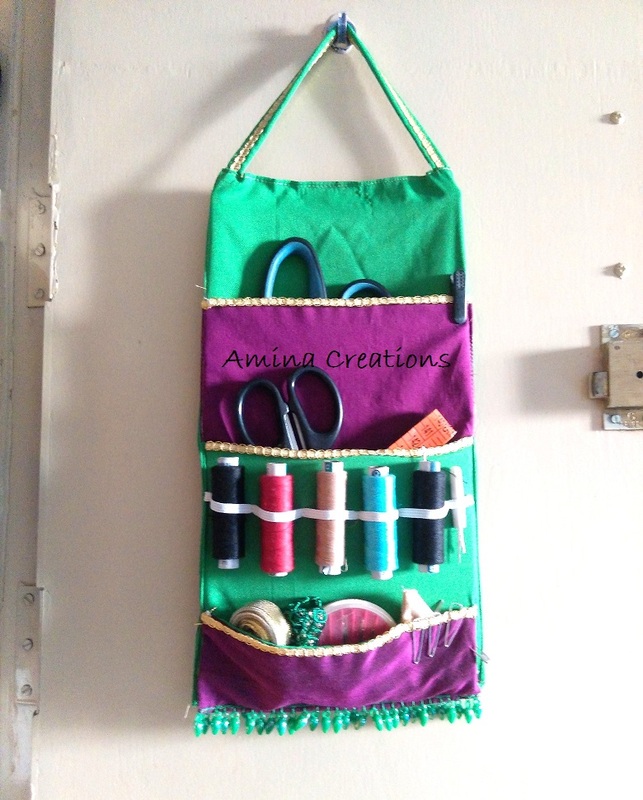 For this I stitched the elastic to the organizer at equidistant intervals. I made two sections to keep my large and medium sized scissors. 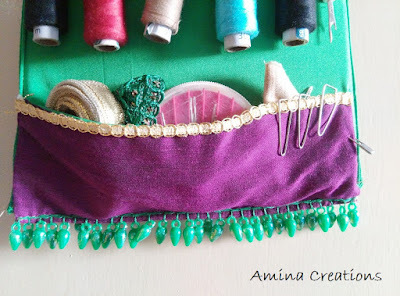 I have made the last section small, so that I can keep small things like inch tape, lace, and needle box, etc. I have hanged sewing organizer on the inside of my cupboard door.